At the Los Angeles Auto Show this past week Saleen unveiled the limited edition SA-30 Mustang to celebrate the company’s 30th anniversary. It’s the sixth time an anniversary Mustang has been built by the company, starting with a one-off prototype built in 1988 to celebrate five years and most recently the 25th Anniversary Sterling Edition Mustang that was built in 2008 to represent a quarter century of the company’s history. The SA-30 is the most powerful version yet, packing 625 horsepower from its supercharged 5.0L V8. While we initially brought you photos of the SA-30 Mustang from the press conference on the second day of the LA Auto Show, we headed back down to the car after the crowds had dispersed to get a closer look at the car and to get more detailed photographs that you can see below. As with several of Saleen’s past anniversary Mustangs, the SA-30 features the company’s distinct racing livery of white, yellow and black. This color combination was first made famous by Saleen’s race cars in the late 1980s and has since been featured on many of the company’s street and race vehicles. The SA-30 follows closely to the theme, highlighted by a Pearl White exterior paint (aptly named ‘Tire Smoke’ White) accented by yellow and black graphics. The 20-inch 5-spoke wheels and brake calipers have been colored to match the paint and graphics, respectively. 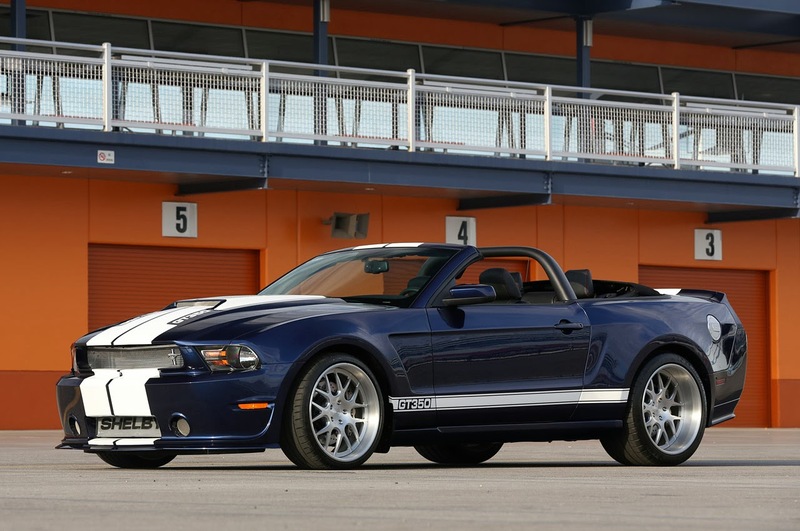 The rest of the SA-30′s exterior is relatively similar to the standard Saleen 302 Mustang. The look of the car has been redesigned with a new front fascia, hood, side skirts, rear wing and rear fascia. Saleen’s anniversary Mustang’s typically feature a very special interior, and the SA-30 is no exception. The Mustang’s standard seats have been redesigned with leather and Alcantara inserts, and a 30th anniversary shifter and floor mats have also been added. The door panels have also been clad in white leather accented by yellow stitching, and a Saleen badge resides on the steering wheel. A rear seat delete is also an option, featuring a stylish Alcantara and white leather covering that replaces the rear seats and deck. It’s functional as well, using a cross-brace to connect the rear shock towers for added chassis stiffness. Perhaps the coolest part of the interior is the optional Frost-Touch glass roof and rear window, utilizing a panoramic-style roof that can change from translucent to opaque at the touch of a button. Saleen partnered with Glass Apps, LLC to develop the technology for the Mustang, using an electric current to energize and align particles in the glass to change the opacity. When activated, the opaque glass reduces light by 40 percent and UV rays by 98 percent. As an exclusive anniversary model the SA-30 does come with a hefty price. Saleen lists the starting price of the car at $95,000, and that doesn’t include the rear seat delete or panoramic roof. Production will be limited to ten, meaning the SA-30 will likely only be picked up by the most devout of the Saleen faithful. You can see all the details of the Saleen 30th Anniversary SA-30 Mustang in the gallery below. This entry was written by by Drew Phillips (Mustangs Daily) and posted here on Monday, November 25th, 2013 at 3:57 pm and is filed under la auto show, la auto show 2013, News, saleen, saleen 30th anniversary mustang, saleen sa-30, saleen sa-30 mustang. This article was not written by us, rather gathered using RSS feeds listed here. We take no credit for this article. You can leave a response, or trackback from your own site.